Do More Coils Make a Better Mattress? The coils, also known as the core or the innerspring unit, provide the main support for the body. Proper support is essential not only for a good night's sleep, but for maintaining a healthy spine. When considering the core of an innerspring mattress, there are a number of important factors: the number of coils used throughout the mattress, the way the coils are constructed, and the shape of the coils. Is a High Coil Count Better? You might have heard a rumor that the more coils in a mattress core, the more supportive the mattress will be. While this can be true, coil count is not nearly as critical today as it once was. These days the construction of the coils is a much more important factor in determining the overall comfort and support of the mattress. How are Mattress Coils Made? When discussing the coils of an innerspring mattress, the word "gauge" refers to the thickness of the wire used to construct the coil. Somewhat counter-intuitively, the lower the number, the "heavier" the gauge, and the thicker the wire — 12.5 gauge wire (very "stiff") is thicker and stronger than 16.5 gauge wire (quite "springy"). Another important factor is the number of "working turns" in each coil, a measurement of how tightly the coil is wound. 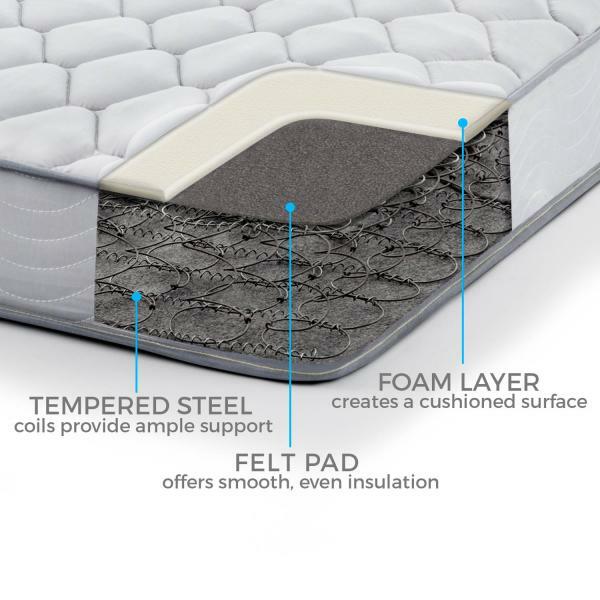 Coils constructed with a higher number of working turns will result in both a softer and more durable mattress, since the work of supporting your body is spread throughout the spring. Working turns can be counted by tracing the wire with your finger — each time your finger travels 180 degrees around the coil translates to one working turn. Tempering is the process of heating and cooling the coils to ensure they retain their proper shape over time. A "double heat tempered" coil has gone through that process twice, ensuring increased durability. What is a Bonnell Coil? There are three main coil designs used in modern mattresses: Hourglass (also called Bonnell), Pocketed and Continuous. 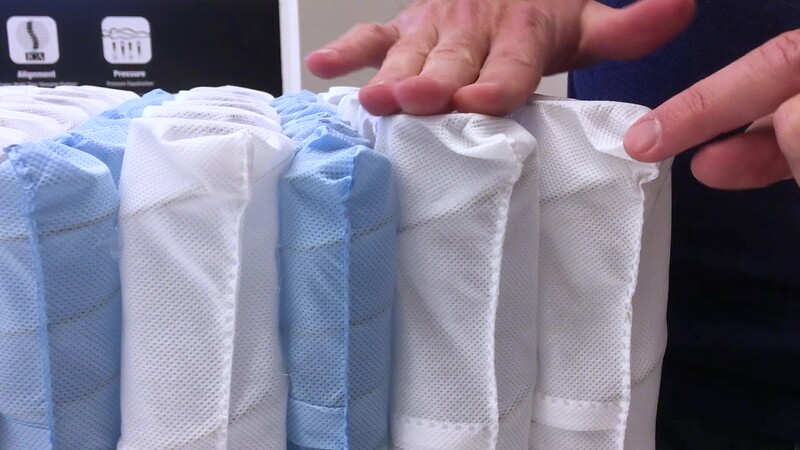 Pocketed coils, also known as Marshall coils, are each individually wrapped in a fabric pocket. While the pockets might be connected together, the springs are each independent of one another and can move separately. Pocketed coils provide more motion separation than other innerspring coil types, meaning that when your partner starts tossing and turning, you are less likely to be disrupted. This can really come in handy if your bed-mate is a restless sleeper. On the flip side, pocketed coils endure greater strain over time, since each coil absorbs weight without distributing it to other nearby coils. Many innerspring mattresses now use pocketed coils, and the majority of hybrid beds use them too. How Long Do Innerspring Mattresses Last? The basic techniques and materials used to make innerspring mattresses date back centuries, and are time-tested. Assuming you buy a good quality innerspring or pocketed coil mattress from a reputable brand and retailer, your new mattress should last in the neighborhood of 8 to 10 years. It could be more or less depending on your circumstances, sleep style and body weight, but a quality innerspring mattress should hold up well and resist body impressions as well as (or perhaps better than) newer-technology memory foam.